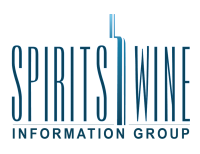 About Us | Bottlitix Ltd.
As our name suggests, we focus on data analytics in the alcoholic beverage industry. We are experts in these areas. It’s all we do. Why does this matter? Well, for starters we’ve already climbed the learning curve. We have a deep understanding of the industry, and of business intelligence and reporting technologies. Combine that with the recent emergence of cloud computing, and you’ll find we can put the latest, most powerful solutions at your fingertips in record time. Why climb a learning curve that’s already been climbed? Leverage our experience and access our solutions today. We’ve already done much of the work. Bottlitix has formed alliances with the following strategic partners. These companies are experts in their fields and we tap into their resources as needed. Please check out our partner sites. ©2019 Bottlitix Ltd.. All Rights Reserved.